Ideal for adding sparkle to your everyday outfits! This playful necklace is inspired by frost, with crystal spheres. 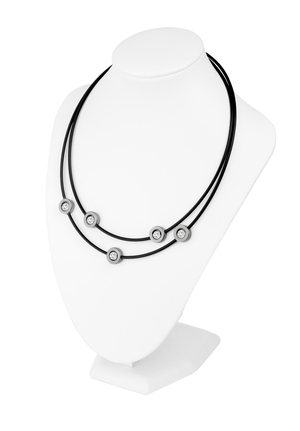 Handcrafted of black rubber cord, silver plated Hematite and glimmering crystals that measure 10 mm in width. Supplied with an extension chain.